On paper Galaxy S4 indeed have a hardware bump as they upgrade from S3. But these are only minor hardware upgrades where average users can't really feel the difference in terms of speed and performance. This is because most high-end phones have hardware performance that is superior over the software capabilities. The average consumer might not even know that it has 2GB of RAM. Even Samsung don’t brag on the improved hardware as they already know its the best in the market. In their launch event, Samsung only mention about the S4 specs only on 1 final slide, after their credits (as shown below). Having said this, Samsung focus might not be at the hardware this time. They learnt that the previous S3 consumers are inclined towards their product due to innovative software enhancement.. By inferring from the launch event, its easy to spot that they are adding value towards their software. Samsung spend the entire launch presentation elaborating on the new innovative software features. Here are some of the awesome software features that S4 have a lead as compared to any other phones. 6) Dual Shot – Use and record front facing and back facing camera at the same time. 8) Tilt Scroll - Using gyroscope for scrolling though web pages instead of touch scroll. It seems that Samsung is successful in pulling off its “S” Branding, without even mentioning Android. Do you think Samsung is pulling away from Android to develop its own branding? Personally I feel that Galaxy S4 features is definitely making a move towards value adding via software since it already have superiority over hardware. What do you guy think? Do drop some comments below. Samsung S4 will be retailing on the 27th April. Be one of the 1st to own it! Click here to find out more. Please Kudo if you find this useful. Of all the new software, I find that only the dual camera is of much use. Seriously, most people will be facinated with the new stuff like air view, smart pause and etc. But after prolong usage, people will just use the conventional methods to pause the video or any other stuff that can be done traditionally. And certainly, air view and smart pause will take up some battery life too. My point of view is that they sure look cool, and would be a good addition to the array of software samsung has, but few people will actually make full use of them. And it hurts to know that Samsung still refuse to allow developers to come out with their own ROMs. CyanogenMod has already announced that they will not support S4. This has given me second thoughts about the phone. Even if someone manage to hack, they won't be able to go pass the exynos part.. so irritating. Just hope SG's variant of S4, Snapdragon processor will be easier to hack. I think the Dual shot will be quite useful, and air view too! I just hope Samsung quality will improve this time around... i'll give Samsung another chance with the S4! Smart pause is useless for me, not that type of guys who staring at a handphone screen for movies, not like cinema feelings. Air View sounds pretty cool, sounds like really high-tech stuff, protect the screen from scratching, but would it be too much sensitive for pressing the wrong button. Can't wait to get my hands on the new Samsung S4, been wanting to replace my Samsung S2 ever since the many good phones released by Samsung earlier. In the present SAMSUNG has captured with various model of smartphone.....Now it launch with S4 which is very goodto previous model (S3). It have 13 mega pixel rear camera which is very good. It good to see new application like smart pause, air view etc. Watch on application which is advanced so it nice. But smart pause and air view does not seem to be use in frequent way. As the mobile user does not use all the application which has been built-in. I alway prefer to purchase new & advance technologies system. But all over i says it is extraordinary and solid mobile in comparison with other smartphone. @ XiaoBao I dont normally watch long movies on my phone as well. But I hope S4 can improve by using smart pause eye tracking in other ways. Perhaps dimming the screen when you look away. In this way it can save lots of battery ya? In terms of Air View, there might be settings to control the sensitivity of your fingers. Once I have my hands on it, I will check this out for ya. Thanks for your opinion. Keep them coming! I think the smart pause technology is a good idea but it might be difficult to achieve perfection. It's really nice when videos pause on the screen when i turn away, but i wouldn't want it to resume playing my someone beside me peeps at my phone. It kinda defeats the purpose. It would also be interesting to see how this technology behaves when there are many pairs of eyes staring at it. If this technology has no glitches, it would be an impressive feature. I look forward to test it out. I fully agree that S4 is so powerful and advanced enough. My only hope against the smart phone is the longer standby time and talking time so that I can enjoy it without bothering the dead battery so frequently. back when PS3 came out they mention how the hardware is years ahead and how no current games can maximise the system. PS vita and 3DS only 3 hours? Hi Chao and doel, Samsung S4 has one of the largest capacity battery amongst the latest smartphones out there. You may say that the huge screen will drain the battery faster. However users have the option to pop out the battery and replace it with a new one. Most new smartphones has cease to allow manual battery switching. The most useful function should be the dual camera. To be able to use both cameras at the same time should be quite interesting to see what kind of photos S4 can produce. I'm sure alot of users will like this function, especially those who love photo taking. Definitely looking to test this out once I get my S4! I am pretty looking forward to the S Health function. It seems to be a big advantage over other phones of equivalent class on the market as an increasing number of people nowadays are really careful with their bodies. Health if everything. 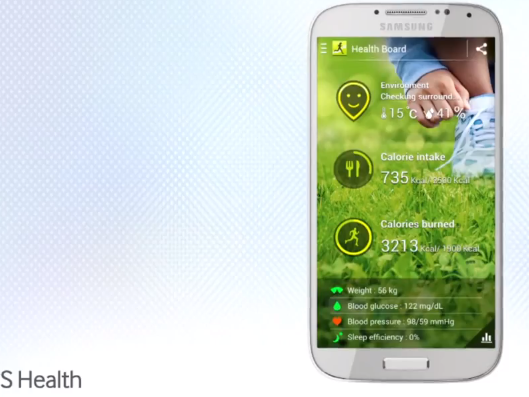 If S Health can really effectively improve a person's health condition by monitoring one's daily physical activity as well as his/her consumption of calories and giving useful advice on the records, it is definitely worth owning the phone. Not to mention, it is probably the first function implemented by the mobile phone manufacturer itself, instead of some probably already existing expensive apps on the Google Play Store. The most useful function should be the dual camera. From screen to the camera and from dimension to the battery, all have been upgraded from different different aspects. Besides these upgrades that every phone will do when they launched new series, there are MORE!! After reading the blogs above, it makes me feel so awesome about Samsung Galaxy S4 and it is definitely tempting me to get one. 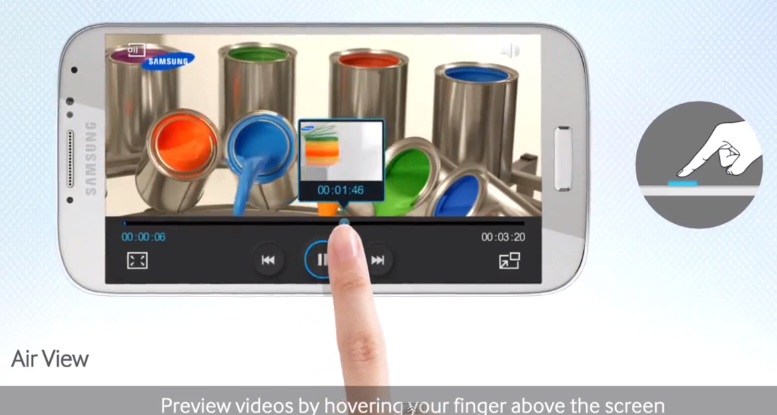 Smart pause, optical reader, group play, dual shot and tilt scroll are fantastic useful function that also make users feel more cool of getting a Galaxy S4. S Translator is super useful for tourists when they are visiting other coutries. Of course, S Health helps us to monitor our health and lead us to reach our goals easier. This function is good for everyone no matter young or old, boys or girls. It is so difficult for me to choose the best among all of these functions. If to let me choose, I have to say ALL! If I have a S4, I guess I won't go for CynogenMod cause I will miss out on all the interesting features that are only for TouchWiz. I'm currently using Note 2, and is very happy with the battery life and I hope S4 will be as decent too! Btw, Samsung uses super AMOLED technology, which means more battery will be consumed when the screen is on white than on black. For people who surf web on their phone often, the battery life will not be as desirable. But then again, you can just simply pop in another battery when the current one is flat. A much awaited champion of the year..
Higher Battery Capacity means longer operating hours and funtime with S4..
Higher RAM density means to even better user experience with no lag with multiple task or working on bigger file size..
phone spoilt. need a new phone. A lot of innovative features added in this new S4. I would say that all these innovative features such as smart pause, tilt scroll and air view are really user-friendly as the users don't have to touch the phonescreen directly so that the phonescreen will not get dirtied by the 'thumbprints'. It is really 'design for humans'. Great feature, it had also taken care of female users that have long nail. Being a staunch user of the IOS my loyalties do suffer a jolt when i see the new technology on offer on the Samsung S4. The most useful feature i found on the S4 is the dual shot and chat on which truly will be used more often than the other upgrades. I fully agree that S4 is so powerful. My only hope against the smart phone is the longer standby time and talking time so that I can enjoy it without bothering the dead battery so frequently. After the honeymoon period, I guess only a few of the features of interest to different groups will stand out and Samsung should concentrate on that to improve. Main concern is the battery life with all this!! I wish there is a feature to close all apps at one go to save the battery!! Anyways, lightweight feature rich S4, is definitely smart - as long as it follows on what consumers prefer and stick to it!! I feel that the most unbelievable feature is Air View – Control device without touching it (good for those who have long nails). This is goot when your hands are dirty or oily. With this option, one won't dirty thier phone when thier hands are dirty or oily. gone are the days of samsung being one of phone brands in the outcast group. kudos samsung! getting bigger and better! i remember a wise old friend said it depends on the user. a device can be the most powerful but how the user makes use of it, determines the usability of the device. I have always been a fan of iphone. 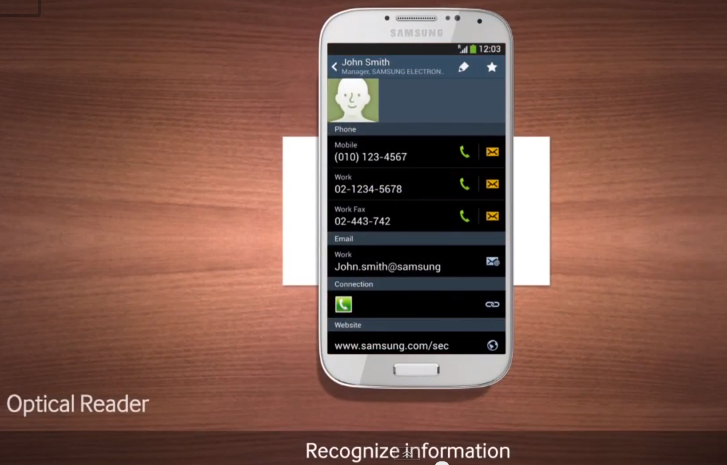 However, looking at the awesome features in Samsung Galaxy S4 is making me consider to switch to Samsung too. Thanks for writing the review! 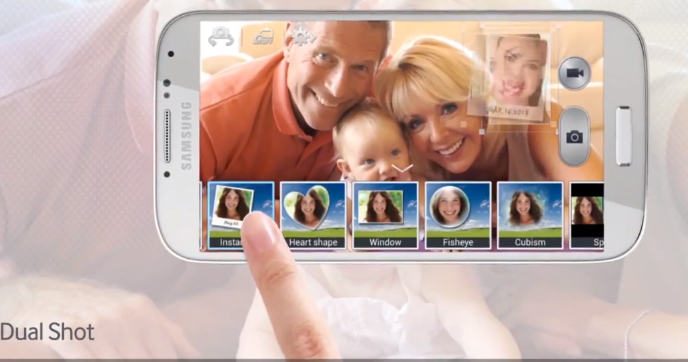 I always want to own a samsung phone to experience it's awesome software enhancement. The dual camera is the best. This is new feature which is useful and practical and solved the problem of the missing camera man who alway sacrify him/her self from the precious moment capture. I was looking for borderless phone on the new phone, however , there isn't any. Motion detection is cool though, the only things will be great if there is a outlook change. Best of all, long battery life and fast LTE , this is my two favourite feature. Been using other smartphone brand recently and have never used Samsung SP before and I find this S4 feautures are so enticing to give samsung a try. 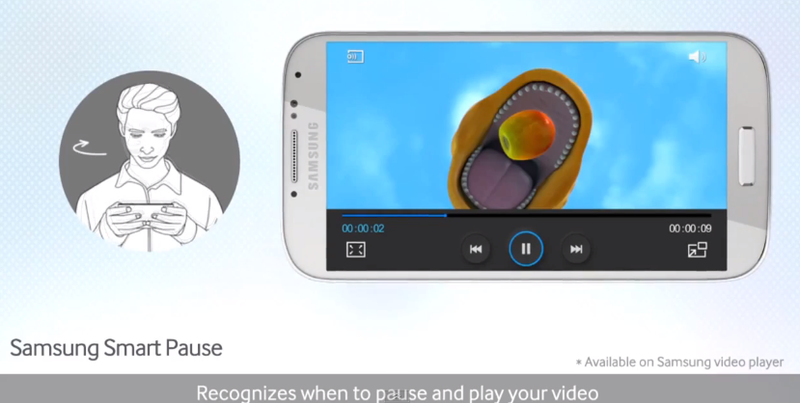 Smart pause is amazing and will be useful for me as I often watch movies and videos using my smartphone. Another feaute I like is the dual shot. eager to try the smart pause., let the luck be with me this time..!!!! i love the features especially the Dual Shot! never miss out from any group pics anymore!!! Excited to take hold and own this! I feel that to only comment that there is slight improvement based on software is slightly unjust to Samsung. In terms of hardware, there are some enhancement to it, take for instance, 1. the battery of S4 is larger as compared to S3 from the previous 2100mah, now it has been upgraded to a 2600mah as processors has increased, draining of more power has increased, thus the increased in capacity. 2. S4 packed a 13MP camera on the rear and a 5MP on the front. That is an upgraded as compared to S3. 3. 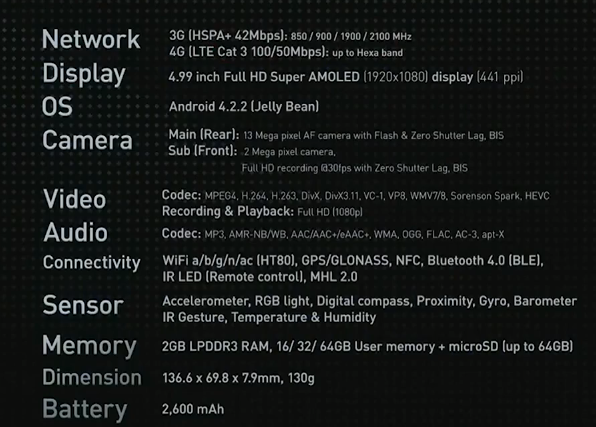 The processor of S4 has increased from 1.5GHz to 1.9GHz Quad-core processor with an increased in RAM to 2GB. 4. Based on dimension, S4 is measured at 136.6mm x 69.8mm x 7.9mm as compared to S3 being measured at 136.6mm x 70.6mm x 8.6mm. We are talking about some reduction in size. 5. Moving on to weight, S4 weigh at 130g as compared to S3 at 133g. Though it is a mere 3g, why not, it is 3g lighter than the previous. 6. Lastly, size, S4 is thinner than S3 by 0.7mm. These are purly my view for an upgrade from S3 to S4. I agree with the writer who says that Samsung is trying to fit everything but the kitchen sink into this phone, it has all the bangs and whistles and sometimes seems like it hopes that there will be that one feature that a certain demographic will just find essential or revolutionary (enough to make them go "just what I've been looking for!"). I am no fan of Samsung's "inspired by nature" hardware design language on the S3. I thought it looked like a blatant and bad ripoff of Palm's design language back when they created the beautiful Palm Pre, or when Motorola coined the PEBL phone, or maybe even further back in the day when Siemens manufactured the then-famous petite sliders Sl55/65/75s. Point is, it's a design novelty that feels dated and really, against modern design philosophies that favour clean lines, symmetry and uniformity. The S4, thankfully, does a little to break away from this dated hardware design philosophy. I admit I quickly dismissed the S4 as just an S3 with a bigger screen but upon looking closely at it, I found several comestic changes for the better, like the metal solid ring around the bumper of the device, which just looks really, classy. All in all it gives current top-dog in the looks department, the Sony Xperia Z a good run for it's money (I'm personally not really a fan of the HTC One, looks-wise). Criticisms of the S4's mostly-plastic build quality aside, whatever points Samsung may have sacrificed in style it makes up for in substance, where it packs a bigger user-replaceable battery against current manufacturer trends of not allowing this altogether in their flagship devices (Lg Optimus G, HTC One, Sony Xperia Z, Nokia Lumia 920). I think what Samsung did here is to cement Samsung's rise to the top of phone manufacturing rivals. If the S3 served to make people tinker with such an idea, the S4 is here to make it fact. Samsung is the best mobile manufacturer in the business today. To people formerly undecided about the company's offerings and sitting on a fence, the S4 is a loud and inviting call to bring their wallets... and with their current marketing weight being focused on the S4, I'm certain they have just released another, if not *the* best-selling phone of the year - and incrementally made it harder for even Apple to just sit back and watch idle as it has complacently done in the past few iPhone iterations. I will definitely be getting this phone even if I do not win..the function and software is awesome..but one downfall will be as always for all android the software updates.unlike iphone android updates cater to only certain phone which is the flaw of android..other than that I am please with all the features that this phone have. now whole world is using this technology which i think there should be a little corner for those who is not using all this "High Tech Phone"
I like the screen and the smart pause while watching the video. And it has improved camera. So would love have it one.